The Prince Albert | Pub Quizzers | Find a pub quiz near you, now. 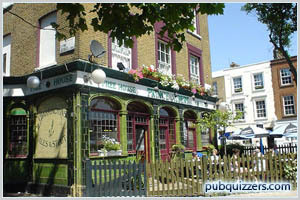 Pub quizzes take place at The Prince Albert, Camden on Sundays (weekly) at 20:00. Entry is £2.00, you can have up to 6 people on a team. There are prizes of cash, drinks, food. Happy quizzing! Quiz master extraordinaire Alistair Donegan will be strutting his stuff from 8pm every Sunday. Top prizes include gig tickets, cash pots, free drinks and more. This information in incorrect! The quiz is on Tuesdays.